Chris Gilbert is a professor of political science at the Universidad Bolivariana de Venezuela, and the creator and co-host of Escuela de Cuadros on ViVe TV. 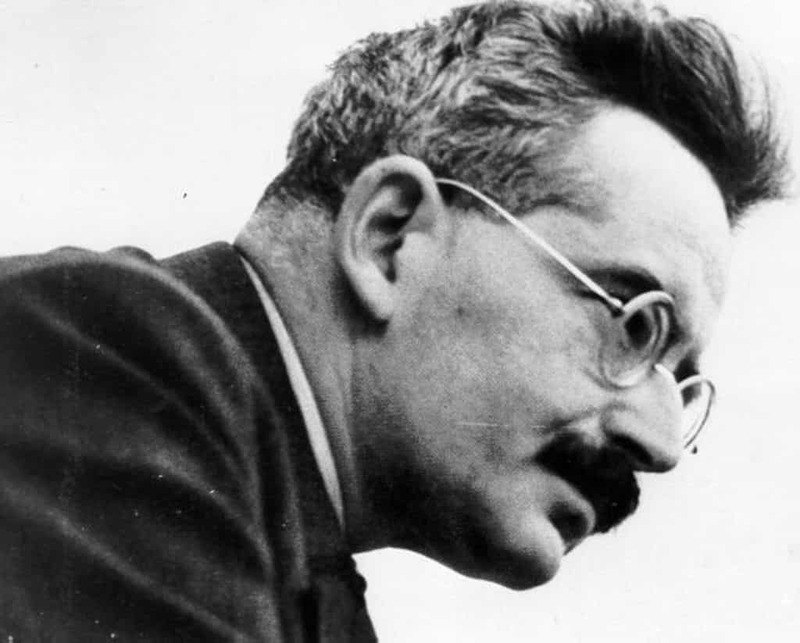 At first glance, the work of Walter Benjamin and contemporary Latin American politics appear to have nothing in common. It is difficult to imagine a more strictly European figure than Benjamin, a Berlin-born man of letters who was reluctant to emigrate from the continent—whether to Palestine or the United States—even under the life-threatening circumstances of the rise of Nazism. Benjamin has been called a “prototypical modern European intellectual” because, in his work and life, one can trace a commitment to the shaping of a “universal” culture of that continent that went beyond national particularities.1 It is also revealing how Paris exerted a powerful attraction for Benjamin as the “capital” of this cosmopolitan Europe. It seems safe to say that Benjamin belongs authentically and deliberately to the European tradition. By contrast, the novel political projects that characterized Latin America in the first decades of the twenty-first century appear to have sprung from wholly autonomous, local dynamics. These “processes of change” put into the spotlight charismatic leaders of popular origin, such as Venezuelan military officer Hugo Chávez and Bolivian indigenous leader Evo Morales, who overtly defied the prescriptions of Northern ideologues of both left and right. These two contexts—European intellectual circles and grassroots Latin American politics—thus appear to be literally worlds apart. Yet I will argue that on the contrary, it is precisely in these Latin American political processes of the twenty-first century—and particularly in Venezuela’s Bolivarian Revolution—that Benjamin’s ideas are most thoroughly played out, receiving not only their fullest “illustration” but also their most productive interrogation. By contrast, Benjamin has been much less present in the Latin American academy, particularly the Caribbean. Yet as so often happens, reality and its dialectic take the opposite course from that of the ideological superstructure. Despite the peripheral place of Benjamin’s ideas in scholarship of the global South, it is there that his theory plays out most fully in actual events. More exactly, what in the North is often mere academic shadow play or hairsplitting, in the South’s political and social movements takes on a living and factual character. Hence, in the spirit of Mario Tronti and Giovanni Arrighi, who respectively “discovered” Marx in Detroit and Adam Smith in Beijing—because it was there that Smith’s and Marx’s ideas were actually being fulfilled—I will claim that Benjamin’s theory of history is objectively realized in the facts of recent Venezuelan and Latin American history.3 Benjamin is to be found materially in these places in ways that go far beyond the North’s merely ideological embrace of the same body of thought. Both Nietzsche and Benjamin argued for a radical break with this oppressive past, but in different ways. Whereas Nietzsche came to the conclusion that one must “will the past” as a means of mocking its apparent irreversibility, Benjamin’s proposed break with history has a special hermeneutic character insofar as it involves an active reading and excavation of the past (perhaps reflecting the influence of Marcel Proust, whom he translated). Past events are put into place—configured into a dialectical image—by an interpretive act with revolutionary consequences in the present. This act of interpretation constructs an imaginary “origin” or “constellation” connected to today’s revolutionary activity, presiding over it with an influence similar to the power once attributed to the stars. Notably, Benjamin’s reaching into the past and his proposed break with the continuity of the present also has a messianic dimension, in stark contrast to the then (and now) widespread progressivist point of view. 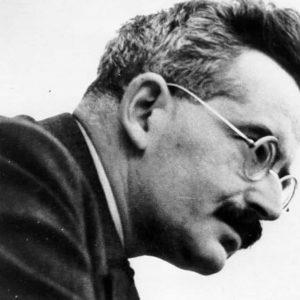 Benjamin famously rejected all claims that an irresistible or automatic progress operates in history, an idea dear to the reformist German Social Democratic Party of his time. He argued that humanity’s faith in such progress had its roots in a concept of historical time as linear, homogenous, “empty.” Against this version of time—the substrate on which positivism builds its sequence of inexorable epochs—Benjamin opposes a discontinuous, messianic temporality, a revolutionary time that is anti-Cartesian and anti-progressive, “full” even to the point of being a counting-down rather than a counting-forward. First, let us examine a Benjaminian rupture with history and with the myth of progress that took place in recent Venezuelan politics. Echoing Gabriel García Márquez, Hugo Chávez repeatedly described the purpose of the Bolivarian Revolution as overcoming Latin America’s fate of “one hundred years of solitude.”8 Coinciding with Benjamin’s call for a break with history’s continuum, Chávez used García Márquez’s literary register of “magical realism” to reinterpret the Latin American post-independence era, not according to a progressivist narrative, but instead as an “eternal return” of the kind that the Colombian author depicted in his 1967 novel. Chávez invoked the dreamlike world of García Márquez’s imaginary Macondo, where an enchanted history repeats itself generation after generation and “magically” nothing ever happens, despite the bloody events brought on by the United Fruit Company’s arrival midway through the novel. Of course, to the real Macondos of the world, the message of imperialism’s ideologues, from economist Walter Rostow and his famous five-stage prognosis to current prophets of “emerging economies,” has always been that “progress is coming,” and economic “take-off” awaits. The promises have been many and continue to this day. Nevertheless, as Andre Gunder Frank convincingly argued in the same decade as Garcia Márquez’s novel, the structural relation between the metropolitan centers and their satellite economies in the global South guarantees that their only development is at best “underdeveloped development.”9 In effect, the global South’s economic destiny under capitalism is always relative backwardness and poverty. The revolutionary task that Chávez took up, then, based on this kind of reading of Latin American history, was to break the spell of history’s continual “once upon a time”—that is, the perpetual solitude of a Macondo-like destiny—so that a praxis-driven history could finally begin, with the Latin American masses in the role of political agents. A second key element in Benjamin’s historical thought is the importance of excavating and reading the past: rereading it “against the grain” and according to the “tradition of the oppressed,” as he recommended in his “Theses on the Philosophy of History.”10 This hermeneutic approach is also central to the Latin American political processes of recent decades. The most relevant example is the rereading of the wars of independence that Latin America’s contemporary revolutionaries took on by recasting that two-hundred-year-old struggle not as a glorious, completed accomplishment but instead as a living project that remains only half-realized. In this revision of hegemonic historiography, the continent’s Gesta Independentista appeared as a suspended enterprise, insofar as the liberation of the oppressed—“the second and real independence” of Latin America, in the words of one widely-used slogan—was still to be achieved. y en eso llegó Fidel. Puebla’s lyrics pertain of course to the Cuban Revolution, specifically to the corruption and exploitation of Batista’s Cuba, brought to an end by the entry of Fidel’s caravan into Havana. Yet they could quite easily apply to end-of-century Venezuela, Bolivia, or Ecuador. In those countries, the social debacle produced by imperialism was called to a halt by Chávez, Morales, and Rafael Correa’s application of a “revolutionary” emergency brake. Today, with left parties and movements in retreat across much of the continent, no one would claim that this revolutionary “calling to a halt” has more than begun. It was at best initiated and attempted. Nor could one imagine Benjamin’s thought as the last word on Latin American history and its recent revolutions—that would contradict the spirit of his work. Instead, Benjamin’s thought describes a set of problems, conflicts best addressed not academically but rather in dialogue with living political processes such as those occurring in Latin America—on a real plane, not a merely textual one. For example, an issue that often arises in readings of Benjamin is the difficulty of reconciling his past-driven but norm-transcending revolutions—the present, messianic generation is always responsible to the past, even as the revolutionary event exceeds any established precedent—with the strategic vision essential to real revolutionary politics. The problem is not only that a strategic perspective requires looking to the future, but also that the revolution’s exceptional nature in Benjamin seems to call into question our very capacity for projection. The same problem appears in the work of a range of modern theorists, from Hannah Arendt to Alain Badiou, leaving them open to criticism that abstract concepts of radical rupture risk becoming mere aesthetic poses, shortchanging the role of real-world strategy and struggle.15 In today’s Latin America, this aporetic situation—the disconnect between rupture and strategy, redeeming the past and building the future—is not merely theoretical but has a clear, concrete dimension. Its resolution is especially urgent in Venezuela, for how can a revolution aimed principally at alleviating the past and present suffering of the Venezuelan people—with a program that is accordingly “populist” and “immediatist,” in this democratic and humanitarian sense—develop a coherent strategic plan and line of struggle? This is not only a dilemma of political theory, but a pressing material problem, in Venezuela and elsewhere, and its urgency is only enhanced by the renewed imperialist offensive and recent fascist turn in the Venezuelan opposition. Another tension in Benjamin’s thought, first raised by his friend Gershom Scholem, is that between his theological or metaphysical inclinations—as suggested by the use of such charged categories as redemption, justice, and fate—and his materialist method, which took shape after around 1924.16 Scholem considered this embrace of materialism merely heuristic and superficial, an alien addition to the authentic general direction of Benjamin’s thought, and even urged him in letters to abandon it altogether. In an important sense, this conflict is simply a pseudo-problem, as the Latin American context shows, since in that region revolution and religion have often marched hand in hand. Further, the imaginary of Latin American revolutionaries has never been confined to a narrow materialism, as the “mystical-and-materialist” practices of both José Carlos Mariátegui and Che Guevara attest. Yet in another way, this dichotomy does contain a problem to be resolved, one that Latin America’s revolutions are perhaps now addressing, by attempting to give their spiritual thrust and aspiration to transform reality a firm grounding in sustainable material conditions. To say this is not to defend the specific mechanisms through which, for example, the Venezuelan and Cuban governments are today seeking that sustainable material base. It is rather to recognize that finding a material basis for the aspiration to transcend dependent capitalism is a problem of real life, not an academic question. Latin American leftists, much more than their Northern counterparts, have often squeezed their universe into a ball and rolled it toward an overwhelming question, to paraphrase T. S. Eliot. This kind of questioning was perhaps never so difficult as when Venezuelans took it on at the end of the last century. In that context, a revolutionary tradition (or “constellation,” to use Benjamin’s term) was constructed in the face of a globally dominant ideology of the “end of history.” Dismantling that discourse was the work of Hugo Chávez and the Venezuelan people, and the story of how it happened is worth retelling. With the fall of the Soviet Union and the sudden implosion of the Eastern Bloc, a chorus of neoliberal ideologues advanced the pseudo-Hegelian claim that history had finally come to a halt, most famously Francis Fukuyama in his End of History and the Last Man (1992). The novelty of his theses has been overstated, however. Their ideological groundwork had already been laid (consider Margaret Thatcher’s “There is no alternative”), and the broad tendency to treat history as consummated or resolved is part and parcel of capitalism’s projection of its historically specific categories onto both past and future. Rather than introducing anything wholly new, the close of the twentieth century saw an unfavorable balance of forces that allowed this persistent tendency to crystallize into a more bald, direct, and powerful ideology than before. In fact, Martí’s whole life project could be described as that of making Bolívar and the unfinished Bolivarian project his own. Applying a similar “actualizing” logic to history, Fidel Castro would declare some fifty years later that Martí himself had been the “intellectual author” of the assault on the Moncada Barracks. In the same spirit, the Sandinista movement of Nicaragua later took up the mantle of Augusto César Sandino in the 1960s, and the EZLN of Chiapas did the same with Emiliano Zapata in the 1990s. Instead, Chávez set Bolívar to work in his own moment, to make the nineteenth-century leader active in the present. In fact, Chávez’s Bolívar was charged with nothing less than leading the revolution, as illustrated in a quite literal way by the Venezuelan government’s elaborate 2010 intervention in the National Pantheon, site of Bolívar’s tomb, and the “photographs” of Bolívar that resulted. These images, while based in part on a scientific reconstruction from Bolívar’s skull, were also a clear case of history being done backwards, from the perspective of the present. The revived national imaginary that Chávez developed had a profound resonance with the masses, to the degree that the Venezuelan people—the revolutionary masses—could be said to be “becoming Bolívar” by owning and continuing his project of a real, present-day independence for their country. An active sense of responsibility to the revolutionary past, in this case focused on the independence struggle (even if the connection was always “weak,” because contingent and affecting people in different ways) marked a special time in Venezuela during the first decade of the twenty-first century. The guiding ideological motive in the Bolivarian Revolution was this “Benjaminian” desire to redeem past generations and reactivate their struggles. At the same time, the revolution’s initial phase brought its own great decisions, for which the past offered no formulas: a moment of Jetztzeit, or “time-of-the-now,” in which the normal flow of things ceased. That arrested juncture marked an opening in time, and an array of unprecedented possibilities emerged. The masquerades, dances, and feasts that accompany Carnival represent, as Benjamin could confirm during a February visit to Nice, a popular version of Jetztzeit. The holiday marks a rupture with the normal course of time, a special moment that is “not a transition between the past and the future.” In the Roman Saturnalia, to which Carnival traces its earliest roots, the social order was inverted: “everything was turned upside down and lords waited on the slaves.”26 This carnivalesque spirit was also abundantly present in the heyday of the Bolivarian process, which suspended the existing political order and brought the normal time of business-as-usual to a halt. The formerly silenced Venezuelan masses emerged from the hillside slums surrounding the country’s cities to place themselves at the center of history, in an act that was both festive and revolutionary. Figures of the past—the constellation formed by the heroes of the incomplete independence struggle—were in effect made to walk in the present like carnival giants. It was in the shadow of Bolívar, Rodríguez, and Zamora, in the permissive, Rabelaisian space opened by their subversive anti-authority, that the empowered militants of the Bolivarian Revolution could claim their right to rebellion. It would not surprise a reader of Benjamin that technology played an important part in this utopian moment, despite its archaic resonances and conscious embrace of historical precedent. To understand why, it is important to recognize that societies of the global South are in many senses more technologically advanced than Northern ones, chiefly because members of a subaltern social group tend to embrace new technology more readily than those of the dominant group, even—or especially—if they must do so through practices of creative, active consuming.27 For whereas the privileged peoples of the global North have numerous means to resist technology’s incursion into their social relations and political institutions, in places where tradition is already undergoing precipitous liquidation, new technology inevitably penetrates public and private experience. Everyday life, artistic creation, and even the human body are all affected. Clear examples of this kind of technological saturation are found in the global spread of hip-hop culture (in which rappers “represent themselves before the apparatus” far more fully than the film actors Benjamin described), where production and reception are synthesized through technologically assisted methods of sampling and remixing.28 Likewise, in poor neighborhoods of the global South, both live and recorded musical performances are often used to appropriate scarce public space, exhibiting a literal version of what Benjamin called the “interpenetration of reality with equipment.”29 Most significantly, a vanguard relation can be identified in the way that many populations excluded from the cultural mainstream have incorporated new technology into their political activity through community television, radio, and online media. Venezuela was thus in a “state of emergency,” both in the sense of a radical break with convention and of a condition in which the new began to emerge. The Bolivarian Revolution in its early years brought a derailing of history, abandoning the train of mythical progress—initiating what Benjamin called a “real state of exception” (wirklichen Ausnahmezustand). Nevertheless, while this juxtaposition of Benjamin’s theory and Latin American political practice works as a broad comparison, it must be admitted that his charged phrase from the “Theses on the Philosophy of History” describes less something already known than the locus of an unsolved problem. That is, a rigorous reading of Benjamin’s eighth thesis should acknowledge that his words, all the more so for being aphoristic, leave unresolved how the “real” exceptional situation—for example, an immediate dictatorship exercised by the masses—can maintain and guide itself. By what lights can social actors in an exceptional state advance once they abandon the chimerical norms of historical progress? Going further: by what criteria can revolutionaries know the “real” from the false state of exception, after a rupture with the past and its conventions? In Venezuela, this problem assumed a concrete character with the ebbing of the initial revolutionary surge, beginning around 2007, while Chá vez was still alive, and has come to define the whole era of Nicolá s Maduro’s presidency. The problem is not so much a moral as a structural and political one. Venezuela’s challenging situation is best defined as one in which mass politics, in the form of the Bolivarian movement, reclaimed history and opened a “time of the new,” motivated by the desire to redeem the past and present, but has also been called on to produce a workable strategic vision for the future. In effect, it was compelled to find a perspective compatible with the human capacity for projection, despite this revolutionary rupture. How to do so is precisely the issue. In terms of Benjamin’s text, it corresponds to the problem, noted by Michael Löwy and others, of an apparently excessive backward-lookingness in the theorist’s perspective and his surprisingly unilateral commitment to redeeming past oppression.33 Must not the revolutionary process also look to the future if it is to be strategically viable, to be political in the fullest sense? In Bolivarian Venezuela, this problem is not at all academic. The question is how a revolution that, following the logic of all true revolutions, must be “populist” in the sense that it answers to the debt of the past and assumes the “messianic” project of redeeming inherited catastrophes—a project that in Venezuela took the form of a varied array of social misiones, from Barrio Adentro to Madres del Barrio and Misión Guaicaipuro—could in turn successfully open a horizon onto the future. However much the country’s present crisis may have been precipitated by Chávez’s death or falling oil prices, its central problem is an irreducibly political one. It is a problem endemic to situations calling for revolutionary direction, and is equivalent to the difficult task of conjugating two distinct temporalities that traverse political decision-making. We arrive to familiar territory, albeit from a different starting point, when we say that the locus of this problem is the political party. The party as organizer and expression of the revolutionary subject represents a key blind spot in both the Venezuelan mass movement, and the theoretical texts here used to interrogate it.34 Critical readings of Benjamin, such as those by Susan Buck-Morss and Terry Eagleton, point to this lacuna as a telling limit of the German theorist’s perspective. The former follows Theodor Adorno in stressing the absence of any active subject in Benjamin’s work, while the latter notes how “the revolutionary prophet substitutes for the revolutionary party.”35 Benjamin’s thought is not unique in fracturing on this point and yet, as we have seen, the fracturing is productive. The legacy of twentieth-century revolutionary organizational practice—which both culminates in and is reduced to absurdity by Mao’s Cultural Revolution, with its exhortations to bombard the party headquarters—compels the conclusion that the revolutionary party, far from being a readymade solution, is instead the locus of a central and unresolved problematic, an active crisis. That is to say, however much Lenin’s twin principles of ample democracy and unified direction can still serve in Latin America and elsewhere as regulative ideals in the organization of a party, it remains an urgent, unsettled question how a political apparatus can successfully reconcile the temporality of revolutionary populism with that of strategy; the temporal pole of immediate and past-driven motivation with that of future projection; and the timeframes required by democracy and those that permit efficient and effective steering. This is the complexity—embodied both in the often unmediated components of Benjamin’s thought and in the Venezuelan impasse—that must inform the enterprise of any twenty-first-century revolutionary party, whatever specific form it might take. Benjamin referred on various occasions to the figure of an angel, represented in Paul Klee’s 1920 drawing Angelus Novus, which he owned. In the most celebrated passage of “Theses on the Philosophy of History,” Benjamin invented a narrative for this figure, dubbed the “angel of history,” that was being blown backwards into the future, even as its shocked gaze remained fixed on a catastrophic past that kept “piling wreckage… in front of his feet.” There is no doubt that the history of the global South in general, and of Venezuela in particular, is similarly catastrophic, a centuries-long story of terror and ruin from the colonial period to the current imperialist epoch. That today’s situation marks an outbreak of renewed barbarism—with the rise of fascism in the global right and unbridled U.S. militarism—only heightens the similarities with Benjamin’s moment. But the comparison goes further than this. Chávez himself can be likened to Klee’s angel as Benjamin understood it, not of course as a divine figure, but insofar as one of the most important and constant aspects of Chávez’s political practice was his cleareyed attention to the most pressing problems and his drive to resolve them as rapidly as possible. This preoccupation with immediate solutions to the injustices that history “piled at his feet” is a leitmotif of Alfredo Serrano Mancilla’s well-researched book El Pensamiento Económico de Hugo Chávez.36 Indeed, Chávez and the Chavistas fixed their gaze on these problems, on the vast horror and wreckage that stretches back some five hundred years, and sought to remedy it. Like the angel, they would have liked “to stay, awaken the dead, and make whole what has been smashed.” Yet at the same time this mass, revolutionary movement, devoted to redeeming past and present catastrophes, was blown into the future by irresistible winds of global crisis. It remains to be seen if the angel of the Bolivarian process, in making its hurried about-face—trying to touch ground, with a strategic plan for the future—can maintain its revolutionary impulse and redemptive character. ↩Bolívar Echeverría, “Benjamin, la Condición Judía y la Política,” in Walter Benjamin: Tesis Sobre la Historia y Otros Fragmentos (Bogotá: Desde Abajo, 2010), 11–13. ↩Beatriz Sarlo, “Lectores: Comentaristas y Partidarios,” in Siete Ensayos sobre Walter Benjamin (Buenos Aires: Fondo de Cultura Económica, 2007), 71–76. ↩See the section entitled “Redemption” in Nietzsche’s Thus Spake Zarathustra . Western civilization’s decline, marked by an excess of historicism in the present, is also an important theme in Oswald Spengler’s The Decline of the West (1918). ↩Walter Benjamin, “On the Concept of History,” thesis VII, in Howard Eiland and Michael Jennings, eds., Selected Writings , vol. 4 (Cambridge, MA: Harvard University Press, 2006), 391. In this article I use the alternate title “Theses on the Philosophy of History,” as Benjamin informally referred to the text. Unless otherwise indicated, translations are taken from the four-volume Selected Writings published by Harvard University Press. ↩The description of the revolution as an “emergency brake” appears in Walter Benjamin, “Paralipomena to ‘On the Concept of History,’” in Selected Writings , vol. 4, 404. For the “fire alarm” reference, see Benjamin, One-Way Street and Other Writings (London: New Left, 1979), 80. ↩It is a commonplace on the Marxist left that twenty-first century political processes in Latin America have made “progressive” advances, but fallen short of being “revolutionary.” The myth of progress, shared by many within the region’s movements, maintains its force despite being belied by recent developments. Without denying the importance of augmenting productive forces as part of a program of change, my argument is that these political processes are best seen not as progress “toward” anything, but instead as arrested or incomplete attempts to end the long and continuing catastrophe that is Latin American history. ↩An example can be found in Chávez’s inaugural address to the Community of Latin American and Caribbean States, in which he claimed, as he did on several other occasions, that in fact there had been two hundred years of solitude. ↩Andre Gunder Frank, “The Development of Underdevelopment,” Monthly Review 18, no. 4 (September 1966): 17–31. ↩Benjamin, “On the Concept of History,” theses VII and VIII, 391–92. ↩José Martí, Política de Nuestra América (Havana: Fondo Cultural del ALBA, 2006), 141–48. ↩Benjamin, “On the Concept of History,” thesis XIV, 395. ↩Toby Valderrama argues that Chávez’s strong and even substitutionist leadership was necessary to overcome the Venezuelan masses’ rentier mentality, which had broken the connection between work and achievement that is essential to praxis. Toby Valderrama, “La Turbulencia Venezolana,” Punto Final 757 (2012). ↩Eduardo Galeano, Open Veins of Latin America (New York: Monthly Review Press, 1997). ↩Daniel Bensaïd developed this criticism of Benjamin, directing it also at Hannah Arendt, Alain Badiou, Jacques Derrida, Jacques Rancière and Carl Schmitt, in Elogio de la Política Profana (Barcelona: Atalaya, 2009), 72. ↩Gershom Scholem, Walter Benjamin: The Story of a Friendship (New York: Schocken, 1988). Though with a different agenda, Adorno similarly criticized Benjamin for working at the “crossroads between magic and positivism.” See Susan Buck-Morss, The Origin of Negative Dialectics (New York: Free Press, 1977), 171. ↩Walter Benjamin, The Origin of German Tragic Drama (London: Verso, 2009), 175–88. ↩Hugo Chávez Frías, El Libro Azul (Caracas: Correo del Orinoco, 2013), 41. ↩Chávez, El Libro Azul , 44. ↩See Martí, Política de Nuestra América , 144. ↩Walter Benjamin, “Eduard Fuchs, Collector and Historian,” in Howard Eiland and Michael Jennings, eds., Selected Writings , vol. 3 (Cambridge, MA: Harvard University Press, 2006), 260–302. ↩“[Any] critique of history that could be called dialectical… must renounce a calm, contemplative attitude towards its subject to become aware of the critical constellation in which precisely this fragment of the past is found with precisely this present” (Benjamin, One-Way Street , 351). ↩Benjamin, “On the Concept of History,” thesis I, 389. ↩Benjamin, “On the Concept of History,” thesis VII, 391. ↩Benjamin, “On the Concept of History,” thesis II, 390 (translation modified). ↩Walter Benjamin, “Conversation above the Corso: Recollections of Carnival-Time in Nice,” in Selected Writings , vol. 3, 26. ↩See the discussion of consumer production and everyday creativity in Michel de Certeau, The Practice of Everyday Life (Berkeley, CA: University of California Press, 1984), xii–xv. ↩Walter Benjamin, “The Work of Art in the Age of Technological Reproducibility,” second version, in Selected Writings , vol. 3, 112. ↩Benjamin, “The Work of Art,” 116. ↩Benjamin, “The Work of Art,” 103, 117. ↩The television program Aló Presidente transmitted an apparently unidirectional flow of information, but was at the same time democratic, because of the personal connection Chávez established with the masses. Benjamin in “The Work of Art” anticipates this dialectical relation between Chávez and his audience: “While he stands before the apparatus, he knows that in the end he is confronting the masses. It is they who will control him” (113). ↩Benjamin, “The Work of Art,” second version, in Selected Writings , vol. 3, 108. ↩Michael Löwy, Walter Benjamin: Aviso de Incendio (Buenos Aires: Fondo de Cultura Económica, 2012), 128. ↩Though the United Socialist Party of Venezuela has existed since 2007, it did little more than replicate and regroup, for electoral purposes, the previously existing and loosely constituted Fifth Republic Movement. Hence it falls short of being a revolutionary party. ↩Buck-Morss, The Origin of Negative Dialectics , 171; Terry Eagleton, Walter Benjamin or Toward a Revolutionary Criticism (London: Verso,1981), 177. ↩Alfredo Serrano Mancilla, El Pensamiento Económico de Hugo Chávez (Caracas: Vadell Hermanos, 2014). Unfortunately, Serrano uses Chávez’s focus on the immediate and short-term to virtually assimilate the Venezuelan leader’s views to those of Keynesian social democracy. In so doing, he ignores the possibility of the more revolutionary, messianic immediacy that is central to Benjamin’s perspective.